Google finally broke the ice and bared the next-generation of Android: the Lollipop. Also known as Android 5.0, the new iteration of the search giant’s mobile operating system features a newly minted interface called Material Design which shows off animations that take their inspiration from the physical science. With the introduction of the Material Design interface, users will definitely get to indulge in seamless experience. But there remains a barrier to Lollipop that will make it hard for Google and its partners on the Nexus 6 and 9 that is just so hard to address at present: the extensive fragmentation of devices whose manufacturers have blended their own customizations to the operating system. Therefore, the user experience would not be as consistent as claimed by Google itself and other tech pundits. That is so because Google would not have as much control of the operating system as Apple has of the iOS ecosystem. For example, Samsung – the largest manufacturer of Android devices – will definitely introduce its TouchWiz interface into the Lollipop, while HTC won’t do that. The same thing will be done by Amazon for sure. Let’s see some of the best features of Android 5.0 thus far. 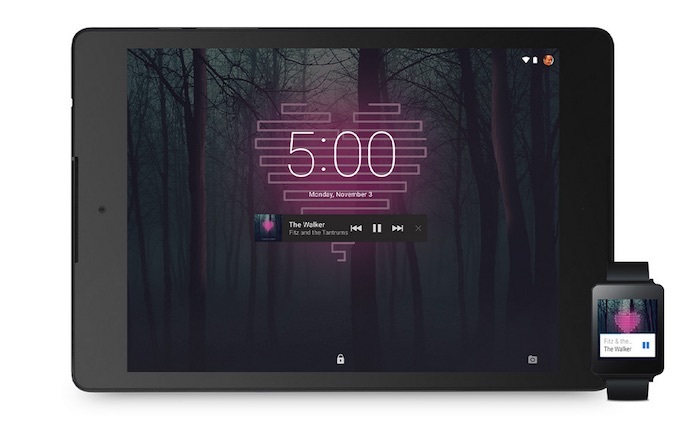 Google has slapped a lock screen design into the mobile OS that allows users to do some tasks on their phones without having to open an app. Everything for that matter is pretty much achievable by just working your fingers on the lock screen. Also with the 64-bit architecture of Android 5.0, new mobile devices will be able to manage and operate more memory intensive apps and games since device manufacturers will be motivated to produce products compatible with that chip power. But then there’s another layer of trouble with a 64-bit architecture, which is that it might take too long for users and app developers alike to adopt this kind of hardware because existing apps, including those popular on Google Play and Apple App Store, will need extensive rehashing in order to work with smooth compatibility with a 64-bit device. And that means users won’t be able to enjoy this feature of the news Nexus 6 and Nexus 9 until developers roll out heavy updates to all apps. Anyway, Android 5.0 will also be rolled out to the Nexus 5, Nexus 7, Nexus 10 and Google Play Edition devices over the coming weeks. Additionally, Nexus 6 will be available for pre-order via the Google Play Store in late October at $649 entry-level price, with options for a 32GB or 64GB storage. Also, Nexus 9 will hit store shelves on November 3.